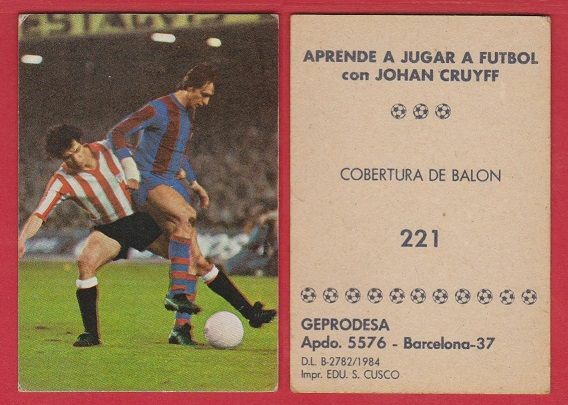 RARE Foreign issue Football card by Geprodesa under the Aprende A Jugar A Futbol con Johan Cruyff series in 1984. Measures approximately 5.6 x 8cm. 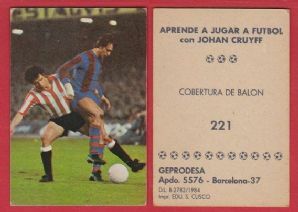 Depicting the Barcelona and Holland star Johan Cruyff in action.